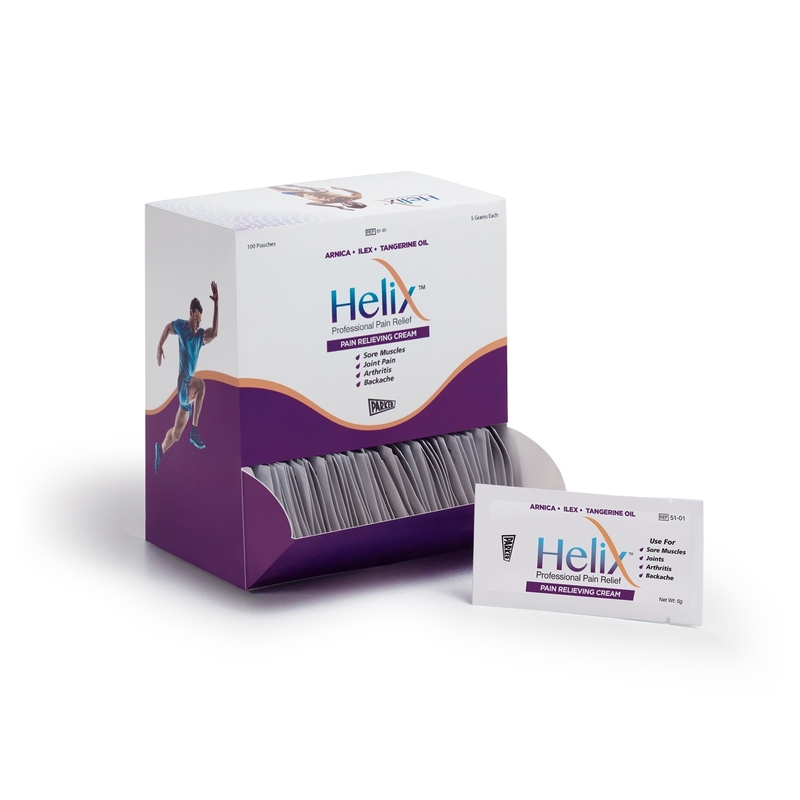 Helix is an innovation in topical analgesic that delivers cooling relief to people suffering from sore muscles and joints, arthritis, backaches and more. The optimized formula of Helix Professional Pain Relief contains 7.4% menthol, which stimulates nociceptors and then desensitizes them. This formula, along with hands-on therapy can be used to treat pain and provide temporary relief that patients need. 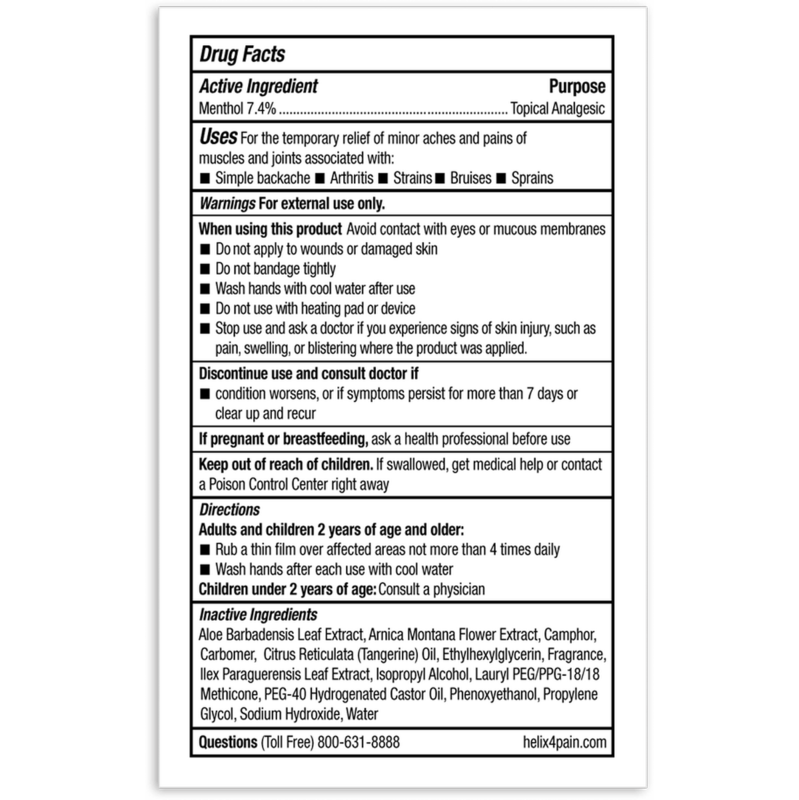 This professional-strength topical analgesic contains more of the active ingredient than the leading competitor. The cooling, pain-relieving properties of menthol are combined with botanicals including arnica montana flower extract, Ilex, aloe and tangerine oil for a fresh, citrus fragrance. The smooth consistency allows for easy application. Helix Professional Pain Relief is available in a variety of sizes, in both a rub-on and roll-on formula.